You can manage Gmail Shared Labels through the Hiver Admin panel and through the Gmail left pane. Click on 'Edit' on the right of the Shared Label which you want to change. The Edit page will open where you can make the changes. Click on Shared Label tab from the left panel. Click on 'Trash' icon on the right of the Shared Label which you want to delete. 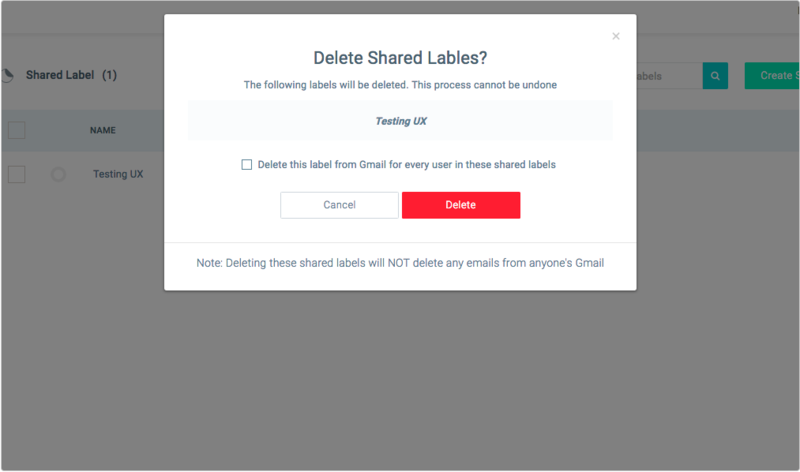 As is mentioned in the option 'Delete this label from Gmail for every user in these shared labels ', if you select this option, then Hiver will delete the Shared Label from the Gmail of all the users. If not selected, then the Shared Labels will stay in the Gmail, only further sharing of emails will stop. In either case no emails will be deleted from any account. On selecting any of the options, you will be guided through the process.